A comprehensive listing of industry companies. Click on the company you are interested in and this will link you directly with their website. You can browse the categories from the grey column on the right. 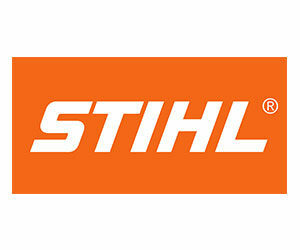 STIHL grass trimmers, brushcutters and clearing saws quickly tame long grass and undergrowth. The machines can be fitted with the appropriate cutting tool for mowing small areas of grass to thinning out overgrown thickets. The models with the STIHL 4-MIX engine produce significantly less exhaust gases than conventional two-stroke engines, giving you increased fuel efficiency and causing less damage to the environment. 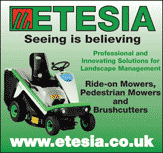 Etesia has gained a reputation for producing ride-on and pedestrian mowers along with brushcutters that are highly reliable with low maintenance, making them the number one choice for many users. Pellenc offers arborists a model that will meet their expectations in terms of weight, balance, manoeuvrability, and power.